Agency of Administration Secretary Justin Johnson discussed budget issues Tuesday with legislators at the Statehouse in Montpelier. The Legislature is looking at $40 million in unanticipated budget expenses to operate state government this year and a $58 million gap between projected revenues and spending next year. Gov. Peter Shumlin's budget writers and the Legislature's fiscal advisors identified Medicaid as the cause of most of the money troubles. Of the $40 million of unplanned expenses in the current budget, $36 million is in Medicaid. That includes $10 million needed to cover a 53rd week of Medicaid payments. The Shumlin administration and the Legislature failed to plan for this expense in the budget bill enacted last spring. Similarly, $53 million of next year's projected gap of $58 million is in the Medicaid program. Medicaid is a subsidized health insurance program that has seen its rolls swell and use increase. The state budgeted $1.68 billion for Medicaid this year. The state's share of this cost is about $700 million, with the federal government picking up the tab for the rest. The Shumlin Administration will present its plan to address the current budget gap on Dec. 14. The numbers are big, but House Minority Leader Don Turner (R-Milton) said, "There are no surprises in what we are hearing today." Rep. Heidi Scheuermann (R-Stowe) quizzed Secretary of Administration Justin Johnson about whether the state had resumed checking the eligibility of people who are covered by Medicaid. The state stopped conducting eligibility reviews two years ago, as it struggled to launch Vermont Health Connect, an online commercial insurance marketplace. "We started again in October," Johnson said. The state is processing about 1,000 reviews a month and will increase to about 4,000 in January. He said it would take more than a year to complete reviews of the approximately 156,000 Vermonters in the program. He predicted the reviews would not produce significant savings. "It is frustrating that for two years we didn't do that," Scheuermann said. Regardless of the amount of savings found as a result of the eligibility reviews, she said, "It is important for confidence in the program." 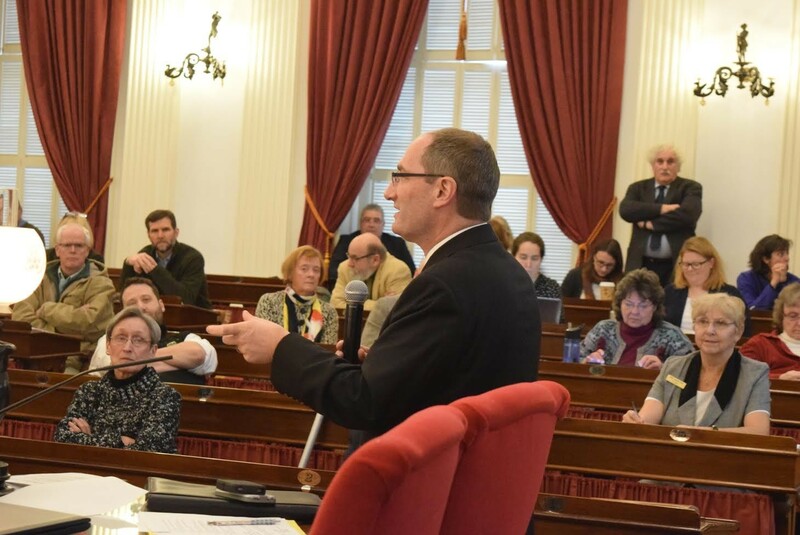 Because Medicaid spending is putting so much pressure on the state budget, House Republicans want to revisit who is eligible and what benefits Vermont offers. "We have a very generous benefit package," Turner said. "If we are going to provide it for everybody, can we afford to be that generous?" Wholesale changes in Medicaid are unlikely, according to House Majority Leader Sarah Copeland Hanzas (D-Bradford). She said it would be important to ensure that those people in the program with the highest needs have their cases managed to root out excess spending. Tom Kavet, the economist the Legislature hires to advise it on revenues, told lawmakers they couldn't count on any fast growth in tax dollars to solve the budget shortfall. Revenues are on target five months into the budget year, Kavet said. "It is not like there is anything dramatically good or bad happening with revenues." Still, he noted the ongoing risk. "The recovery [from the recession] has been so feeble it wouldn't take much to knock it off track."